DENVER — In a 2 to 1 ruling, a federal court in Denver has ruled that Kansas officials may strip Planned Parenthood of Title X funding, contrary to the organization’s contentions that it violated their free speech and association rights. The Kansas legislature had passed a bill in 2011 that required funds from Title X, a federal family planning program, to first go to public health departments and hospitals. The result of the bill, some concluded, would be that the state would then pass by Planned Parenthood, as funding would already be allocated to other locations. 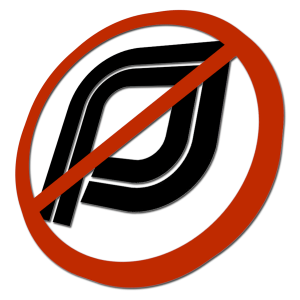 Planned Parenthood then filed suit in federal court to challenge the legislation, asserting that the organization was being purposefully targeted because of its advocacy for abortion. It stated that the law violated Planned Parenthood’s constitutional rights, and warned that the new law could close the Planned Parenthood office in Hays, which does not offer abortion services. Following a hearing on the matter, U.S. District Circuit Court Judge J. Thomas Marten sided with Planned Parenthood, issuing an injunction against the law while the case moves forward in court. But on Tuesday, the Tenth Circuit Court of Appeals in Denver overturned Marten’s decision, stating that there was no proof that the law was enacted to punish Planned Parenthood, but that the result was rather incidental. “We reject the notion that Planned Parenthood can challenge § 107(l) as an unconstitutional condition solely on the ground that its passage was motivated by a desire to penalize Planned Parenthood’s protected speech and association,” the panel concluded. Following the decision, Planned Parenthood President Cecile Richards commented that the organization would continue operations as usual. But Kansas Attorney General Derek Schmidt said that he was satisfied with the court’s ruling and would keep fighting in the days ahead if necessary. The case was remanded back to the district court for further action.